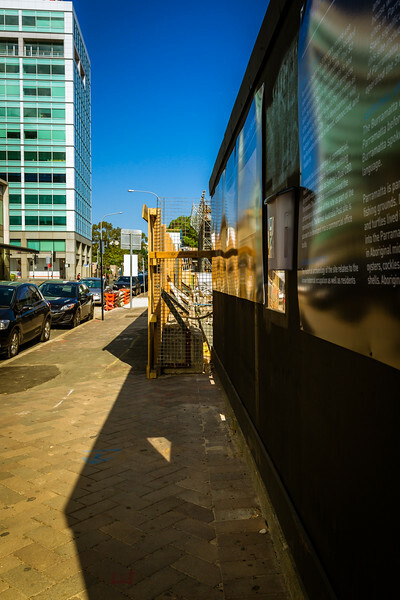 Archaeological exploration of the area beneath the former Parramatta CBD Post Office , Macquarie Street. The post office was closed in 2014, and demolished 2015 as part of Civic Place's transformation into Parramatta Square. The remains are those of the Town Drain, of John & Harriet Hollands' house, and of the cottage 'Cranbrook'.